Tinnitus is best described as the physical condition wherein the sufferer experiences noise or ringing in the ears when there stands no external sound. 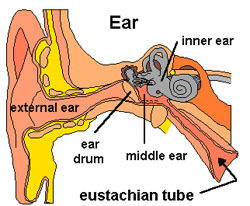 It occurs due to a fault in the hearing system and is quite perturbing. There are many possible reasons for tinnitus and solutions to avoid it. Even after undergoing tinnitus treatment, one might not get rid of it completely. Life has to move on and for the same, you'll have to cope with the constant ringing in your ear. Though its unbearable, however; there are ways to get over this frustration, stress and perplexity. Learn the effective ways of coping with tinnitus and help the treatment bring out positive effects. Review and evaluate at your own pace: While tinnitus is not considered a sign of a grave, continuing medical state, but it is advisable that you visit an audiologist and look for effective innitus treatment. Take your time and evaluate the things carefully before jumping to any conclusion. Never give up: Dealing with tinnitus is indeed frustrating but giving up the battle is not a wise choice to make. Experts have been finding out best possible remedies that can be used for tinnitus treatment. Don't think that you'll have to live with the problem throughout. There are solutions available, you just have to knock the right door. Prevent further damage: While undergoing tinnitus treatment, make sure you protect yourself from further damage. Avoid being at loud places and use ear plugs to ensure safe listening. Check out these useful tips for tinnitus prevention. Build up an appeasing sound environment: If you have been diagnosed with tinnitus, you can divert your attention from the problem by filling in your environment with soothing and comforting sounds. Music can also be of great help in shifting off the focus caused by the ringing sensation in ear. Be patient: Tinnitus treatment is not an overnight affair and is bound to take some time. Results will vary from person to person as everyone will react differently to the given treatment. While some cases get cured in a few weeks, some can even take months. All this while, you will have to keep your patience level a bit high. The positive effects will take time to show up and you will have to bear with it calmly. Keep in constant touch with your medical professional and get assured that your tinnitus treatment is going on the right track. 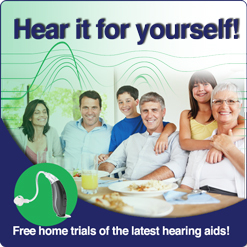 Deal with tinnitus in an effective manner and win over the situation bravely!